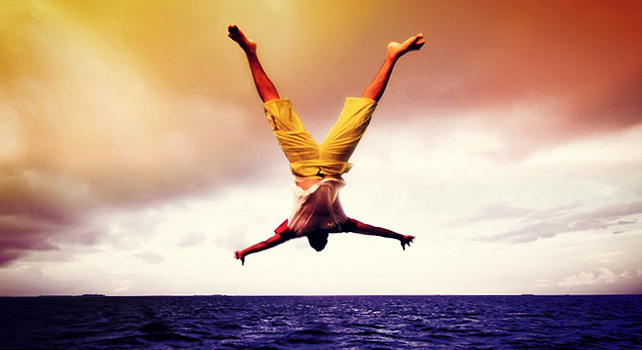 To be successful, businesses must prioritize their focus. Any growing business has resource constraints: limited people, time, and capital. It is critical that the entrepreneur spend his or her time on the most important areas that can drive success. These priorities, however, may vary with the type of business or the phase of growth. What is important is for each entrepreneur to think concretely about setting priorities and reexamine them frequently. To set priorities, entrepreneurs must have concrete and useful data about their business, communicate the priorities to their personnel, and implement processes to ensure that these priorities are carried out. One entrepreneur who I interviewed prioritized his focus simply as customers, quality, and cash flow. He stated that if an issue did not impact directly and materially one of those three areas, it could wait. have to do daily to meet those needs? give you the information that tells you whether you have a problem. Business priorities are not static, however, and can change often. teaches them to adapt as the priorities change. Thinking strategically or on a macro level about how to grow a business is different than thinking tactically and reactively to more immediate business needs. Several entrepreneurs emphasized the need to allocate time to get away from the business to think clearly about what the business needed to do in the longer term. While at work, the daily “heat of battle” decision making often interfered with thinking broadly about the business’s direction. It was necessary to set aside time to get away from the daily business demands to focus strategically. One entrepreneur emphasized this need by saying, “Give yourself an afternoon a week to think about five critical things going on in the business and make sure you are focused on big opportunities or problems.” One of my colleagues calls this specified time for strategic business thinking “firehouse time.” It is hard to think strategically when you are putting out “fires” daily—and, yes, that is the norm as you grow a business because growth generally means more employees and results in more mistakes, misunderstandings, and people issues. Thus, the term “firehouse time” means giving yourself time away from fighting the fires to think about the business. Another entrepreneur called this “working on the business” instead of working in the business. One purpose of my research was to learn how entrepreneurs prioritized their time under high-growth conditions. I was looking for templates and heuristics of what approaches worked best. What I found were common-sense approaches. Some entrepreneurs prioritized similarly to how the military teaches team leaders and junior officers: assess the situation and go where you can have the most critical impact relative to the mission. Others focused on identifying and remedying bottlenecks. They created flow charts showing each critical step in the process of generating cash—the lifeblood of a business. They thought of the flow chart as a pipeline or funnel and monitored flows to determine where there were bottlenecks or flow delays. Finally, they focused on the bottlenecks and, not surprisingly, found that the bottlenecks they focused on eased. Once set, it is important to communicate priorities to employees. How did entrepreneurs accomplish this task? Several entrepreneurs held a “start-of-the-day huddle” with all employees to set priorities for the day and an “end-of-the-day huddle” to review the day. Another entrepreneur had a meeting every morning at 8:30 a.m. with his direct reports, and then the direct reports had meetings with their direct reports. Those meetings cascaded down the line until, by 10:30 a.m., every employee in the company had been in a meeting, talking about that day’s priorities. Not only must priorities be communicated, but also the business culture must be developed to facilitate working toward those priorities. A business culture helps keep employees focused on what is important and can deter aberrant behaviors. Successful business builders institutionalize “firehouse time,” that is, time that they get away from the daily fighting of fires to think about “working on” the business instead of working in the business. They use this time to think strategically and tactically about growth, processes, controls, and building their infrastructure. Successful business builders strategically focus the business in an area where it can excel and they focus themselves daily on the areas where they are most needed to have positive impact. Quality, customers, and cash flow dominate. Conduct daily “huddles” with managers that cascade to include all employees. Ultimately, as the company grows, your managers are critical for teaching and setting daily priorities and objectives. 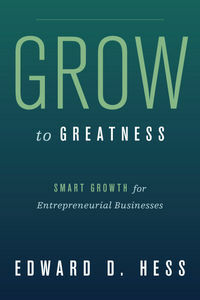 Excerpted from Grow to Greatness: Smart Growth for Entrepreneurial Business by Edward D. Hess. (c) 2012 Board of Trustees of the Leland Stanford Jr. University, reprinted by permission of the publisher, www.sup.org. No further reproduction or distribution is allowed without the prior permission of the publisher.